I’ve found the soundtrack for my next acid trip. Or my first for that matter. 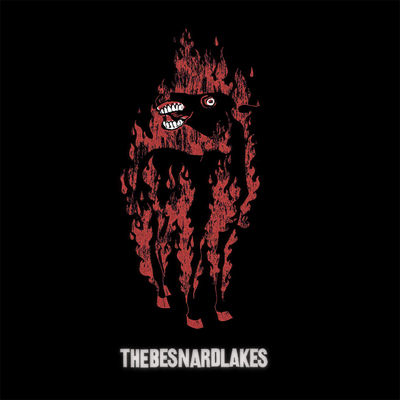 Check out the Besnard Lakes from Montreal. I went to the Rivoli the other night to hear some new material off their new record The Besnard Lakes Are The Dark Horse (Outside/Jagjaguwar). The room could have used more haze to really complement the band’s sound; think dirty and dark guitars, echoed Beach Boy-esque harmonies mixed with the right amount of psychedelia. Lead singer kind of looked like the lead singer from Spacehog, remember them? Lead singer of the band (Jace Lasek) seems to have the touch when it comes to music these days. He’s worked production on a bunch of successful albums out of montreal in the last little while including Wolf Parade, Islands, Sunset Rubdown and Stars. Impressive. Click here to download their song And You Lied To Me. I think the strongest song they performed live was Devastation, which you can stream on their myspace page. If you want to go back further, I suggest you check out their video for For Spy Turned Musician. Great track, works well with the old family videos footage. Give this song some time, it steadily wrestles in.